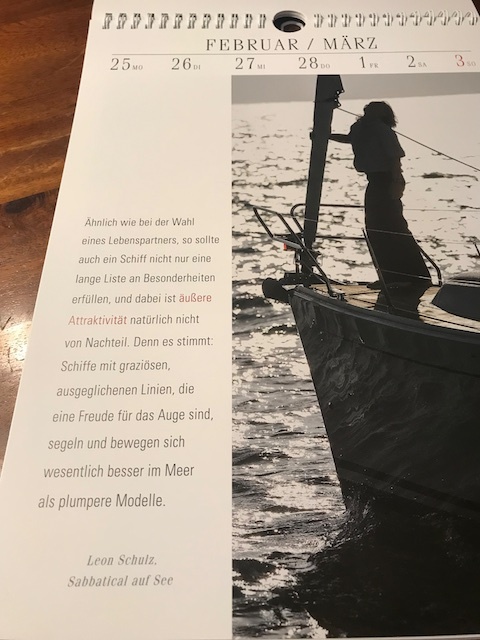 A nice calendar for 2019 with quotes by famous German bluewater sailors, expressing their love for sailing in a compact sentence - one for every week. 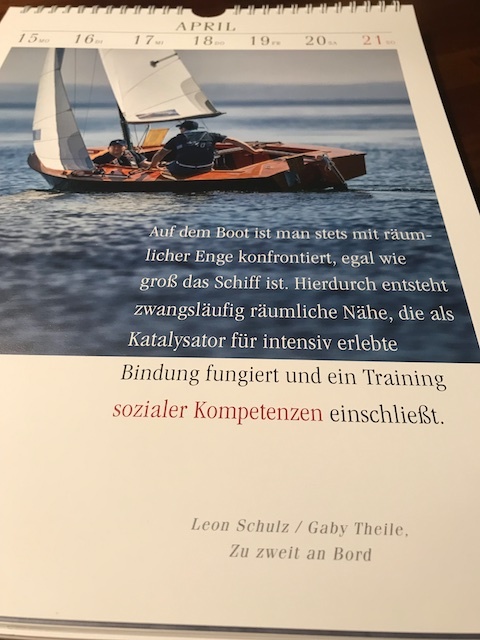 A must have for any German speaking dreamer! 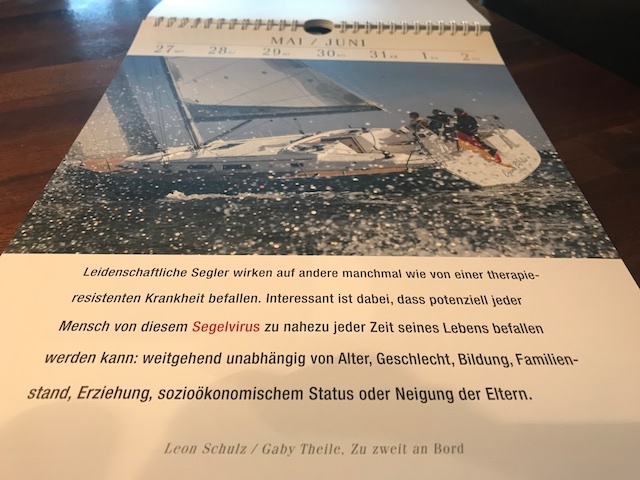 See all quotes and buy the calendar here.